When kids have a fever, parents have a lot of questions. We answer the most frequently asked ones. In most cases because it has an infection. Fever is a powerful weapon of the body to fight pathogenic germs off. Which pathogen is the reason for the fever is however difficult to tell and often not even necessary. Most of the time, it is just a simple viral infection. Check for further symptoms and look at the fever curve to find out what could causes this defending reaction of the body. Some causes have typical fever curves that can be recognized. Consult your pediatrist with the data. In most cases, no. Fever is a healthy reaction of the body. It warms up, so germs can‘t settle and multiply easily. It is a reaction, that has been applied for millions of years by all multicellular organisms. Some studies even show, that infections often last longer and are more complicated, when the fever is constantly brought down with medication. 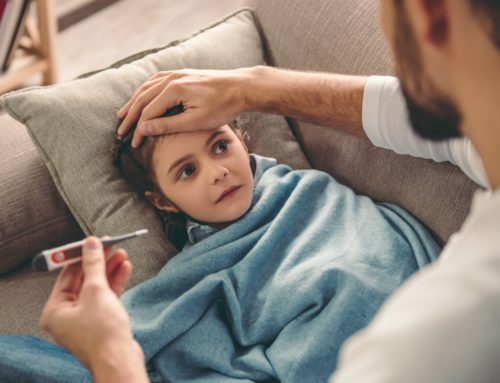 However, there can also be reasons for fever that need immediate attention, for example, if the child is post surgery and might have an inflammation. Always look at the context and the symptoms and if your not sure check with your pediatrist. Yes. You can most probably assume, that the fever is caused by a viral or bacterial infection, and as such, the infection itself can be passed on but not the fever. How do I check for a fever? Rectal thermometer is uncomfortable for you and your child and can possibly harm your child. Measured values also vary depending on how deep you insert the rectal thermometer. Older kids often don‘t accept it at all. Oral thermometer is not accurate enough and not feasable for younger children. Ear thermometers are comfortable to use but difficult to use correctly: They can be wildly off when handled wrong and because of the duration of the measurement which is too short for real measurements. degree° is a new thermometer that combines the advantages of established devices. It is an in-ear thermometer that continuously takes the temperature and with that is able to provide highly accurate measurements and high convenience. 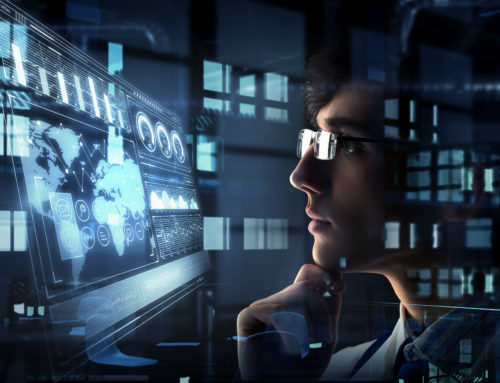 Additionally, it provides parents with more crucial information, namely if the temperature is on the rise at any moment, staying at a level or descending. Kids accept it well and it is even possible to watch the temperature during your child‘s sleep! How frequently should I take the temperature? To draw valid conclusions, the exact course of the fever is more important than just some single values. The temperature can rise or fall quickly and how you should react depends not so much on a certain value but more on which phase of the fever your child is in. So in the optimal case continuous temperature data is needed. But you don‘t want to disturb your child by taking his temperature all the time. This problem is solved with the degree° in-ear thermometer: You don‘t get insignificant single values but the exact curve of the temperature – constantly and directly! As you can watch the fever curve on your smartphone, you know immediately when the fever rises or falls. And since degree° stays comfortably in-ear, you don‘t have to bother your child persistently to take her temperature afresh. So there is no reason to not continuously take the temperature – when it can be done so easily. Do we have to see a doctor? If your child is younger than 3 months, you should call the doctor immediately at a temperature of 100.4 F or higher. If your baby seems to be sick (weak, doesn‘t drink), call your doctor even at a temperature lower than 100.4 F. Babies often do not get a fever when they have an infection. If fever reducing medicines don‘t show any effects or do reduce the temperature but your child still not behaves normally. If none of the aforementioned issues applies to your situation, you don‘t necessarily have to go to the doctor ‚just‘ because your child has a fever. When do I have to bring the fever down, at which temperature? This depends not on the temperature, but on the overall condition of your child. If he has a temperature of 104 F but copes well with this, you don‘t have to reduce the fever. On the other hand, if he has 101.3 F and feels miserable, medication can help him feel well enough to get some sleep or to eat something, which is a key to start feeling better. Can fever cause brain damage? No. This is what parents fear, but there is actually no need to worry. Only a body temperature of more than 108 F can cause brain damage and this doesn‘t happen with a common illness. In fact, a fever caused by infection rarely goes above 105 F.
The body‘s thermostat is not broken and out of control: A fever is still controlled by the temperature regulation of the body, just on a higher level. Which medicines can I give? Never give your child aspirin! Don‘t give medicine more often than recommended or more often than necessary. Many times, one dose is sufficient to give your child enough relief to sleep well and to start to recover. Are we allowed to go outside? If you can manage other things so that the child can stay in bed, that´s the best. If not, make sure that you dress the child appropriately (which is really difficult) and provide him/her the possibility to rest. Watch him/her very closely for any symptoms of worsening conditions. Am I allowed to bath my child? In principle, yes, but if it´s not necessary it is not recommended. In case you do have to bath your child, be vigilant about signs of discomfort from your child. When the temperature rises, your child feels cold and bathing is not a good idea, then. But when the temperature has reached its peak a lukewarm bath might be pleasurable, as it helps cooling down a bit. The same effect, but milder, can be achieved with a warm sponge bath. Could my child get a febrile seizure? This is rather unlikely, but it can happen. Only about 3 to 5 % of all kids suffer from a febrile seizure at least ones in their lives. Two thirds of these kids only have one febrile seizure. Febrile seizures usually show in children up to 6 years of age. And as disturbing, as they are, in most cases, the seizures are harmless. In the case of a complicated seizure call the emergency hotline and get help. Unfortunately, febrile seizures are difficult to foresee. The height of the body temperature is not a risk indicator. The seizure is caused by a fast change (rise and fall) in body temperature but it is not yet possible, to anticipate it. Still, watching your child‘s temperature might help to get an early warning. When can I bring my child to kindergarten/ school again after a fever? 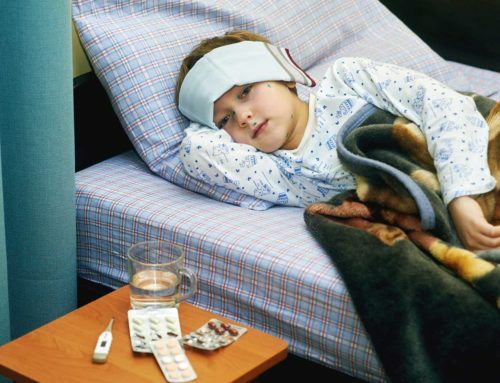 In general, your child has to be free of fever for at least 24h until he is allowed to go to kindergarten or school again. Some care institutions have their own rules, but 24h is the minimum of time your child has to spend at home fever free.